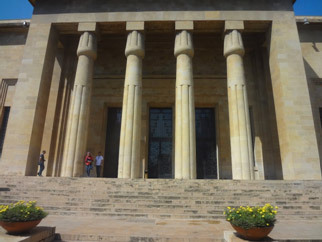 The National Museum of Beirut is the main archaeological museum in Lebanon. The museum was designed in a French inspired Egyptian Revival style by the architects Antoine Nahas and Pierre Leprince Ringuet, and built with Lebanese ochre limestone. It comprises a basement, a ground floor, a mezzanine floor and a terrace. 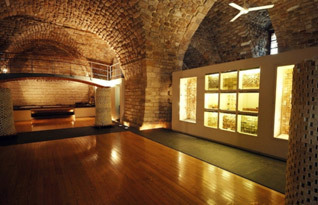 The Museum currently exhibits 1300 artifacts from its collection of approximately 100,000 objects in displays that follow a chronological circuit beginning in Prehistory and ending in the Ottoman era covering 1.000.000 years of human presence in Lebanon. 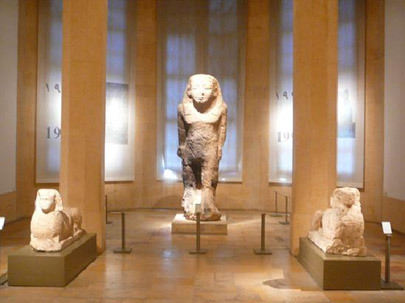 On the ground floor where 83 large objects are displayed, these include sarcophagi, mosaics statues and reliefs. 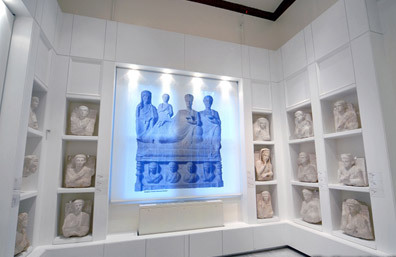 The upper floor displays 1243 small and medium-sized artifacts arranged by chronological order and by theme in modern showcases with soft lighting and magnifying glasses that emphasize the aesthetic aspect of the artifacts. 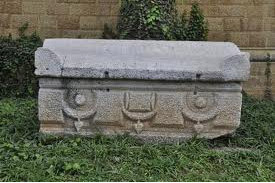 Sarcophagus of King Ahiram: limestone, Byblos royal cemetery, 10th century B.C. Votive statuettes: gilded bronze, Obelisk temple - Byblos, 19-18th century B.C. The Ford collection of anthropoid sarcophagi: marble, 4th century B.C. Statue of Aphrodite: marble, Beirut. Greek gods figurines: terracotta, Kharayeb. Abduction of Europe mosaic: Byblos, 3rd century A.D. The entrance fee is 5 000 L.L. for the general public and 1000 L.L. for students. Opening Hours: Tuesday-Sunday 9:00 AM-5:00 PM. 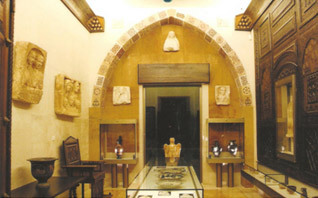 The Archaeology Museum of the American University of Beirut in Beirut, Lebanon is the third oldest museum in the Near East after Cairo and Constantinople. The collections are organized by chronology and themes with displays along the sides of the gallery displaying the evolution of pottery. The museum collection covers almost 5000 of cavitation and contains artifacts from the prehistoric era to the Islamic era. Opening hours: from 9:00 to 17:00 in the winter and 9:00 to 16:00 in the summer on Mondays to Fridays. The Museum is closed on public holidays and during university holidays. Tours last approximately 1 hour. Group tours and school visits can be made by appointment by e-mail to the Museum assistant. Entrance and tours are free of charge. 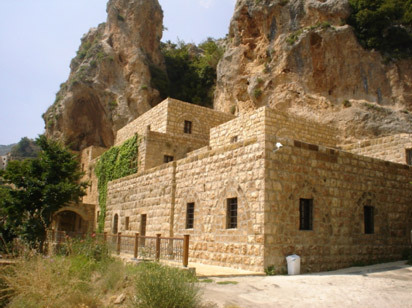 The Museum is the first museum of prehistory in the Arabic Middle East and was opened in June 2000 to commemorate the 125th anniversary of Saint Joseph University of Beirut. The founding of the museum followed from the work of Jesuit scholars who controlled prehistoric research in this part of the world until the 1950s. These had accumulated a large amount of artifacts and heritage, collected at the "Faculté des Lettres et des Sciences Humaines" of Saint Joseph University. This faculty established a research centre in 1988 that developed with the creation of the Museum of Prehistory in June 2000. The museum houses an exceptional collection of animal and human bones, Neolithic pottery, stone tools and other ancient items recovered from over four hundred archaeological sites since the 19th century. The museum opening hours are between 9:00 to 15:00 on Tuesdays, Wednesdays, Fridays and Saturdays. The Museum is closed on public holidays and during university holidays. Tours last approximately 1 hour including a 15 minute film documentary, the first of its kind and a valuable complement to the Museum visit, broadcast in French or Arabic. Group tours and school visits can be made by appointment. In 1926, while in New York, Gibran decided to buy the monastery for his retirement and the hermitage as his final resting place. Upon his request, his sister Mariana purchased both the monastery and the hermitage. On the 22nd of August 1931, Gibran's mortal remains reached Bsharreh. 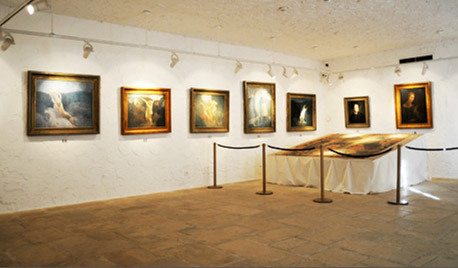 The transformation of the new monastery into a museum did not occur until 1975 when the Gibran National Committee restored the monastery and built a new wing in the eastern side. The floors of the museum were linked through an internal staircase to create a harmonious space where the works of Gibran are to be exposed. 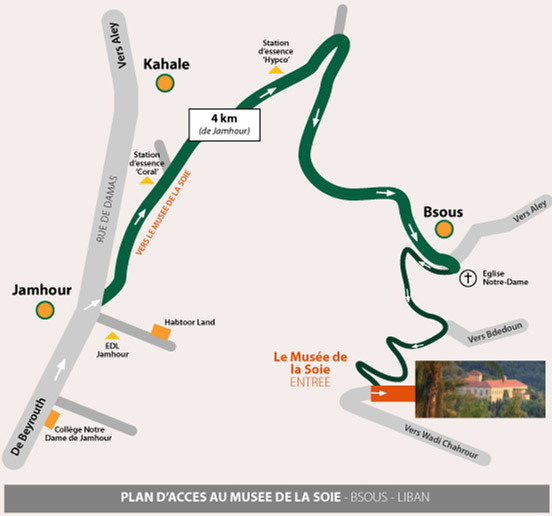 The Silk Museum-Bsous-caza of Aley in Mount Lebanon district is 15 km from Beirut and 4 km from the Damascus. 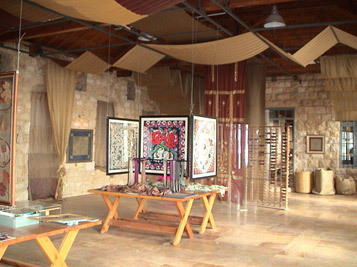 Silk production in Lebanon goes back to the Middle Ages and in the 19th century it became the main activity for a large section of the population, creating great social and economic change in the lives of the Lebanese.The Silk Museum has become an important reference of ecological, cultural and economic history. The Silk Museum is owned by George and Alexandra Asseily. 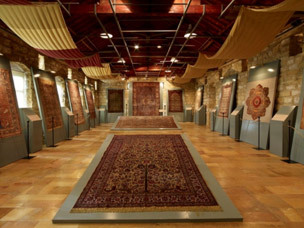 The museum opened in 2000 and highlights the 1,500 year old history of silk production in Lebanon, which ended when the last silk mill closed in the 1970. Thierry Huau and Francoise Le Noble Predine from Paris, played a major role in the redevelopment of the gardens to the building. Le Noble brought wild silk from Madagascar and together with Mona Sader Issa helped to establish AMED, the Association of Memory and Development. Part of the Silk Museum's permanent collection includes live silkworms. Exhibits demonstrate the process of "hatching" the silkworm, leading to the production of silk thread and weaving through all the various stages. Also on display are domestically made finished silk products, such as traditional Lebanese evening dresses and silk trousers that were worn by princesses in the nineteenth century. There is also has a wing dedicated to eastern silk and gold, and a wing holding the treasures of the Bags Antaki family of Aleppo, dated to the nineteenth century and early twentieth century. isitors on a tour of the museum can also see images of farmers working in the production of silk and silkworm picking and collecting. Open daily from May through October, 10am to 6pm, except Mondays. Duration of Visits: Approx. 1hr 30mins. Please reserve in advance for schools, colleges, groups and gardening workshops. Gardening workshop 10 000 L.L. Children under age of 4 are admitted free. 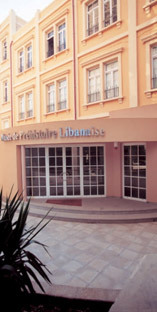 The Robert Mouawad Private Museum is a private residence in Beirut's Zokak el-Blat quarter that was turned into a museum by the Lebanese businessman Robert Mouawad. 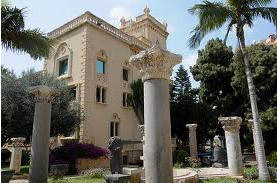 The palace was built in the neo-gothic style by the Lebanese politician and art collector Henri Philippe Pharaon in 1911. The museum was inaugurated on May 11, 2006. It houses objects of value reflecting a mix of artistic oriental and occidental cultures, and a rare collection of books, Chinese porcelain, ceramics, and other significant objects. The palace's architecture and design reflects Pharaon's infatuation with Islamic Art and decorative wooden panels that date back to the 19th century, especially after his repetitive travels to Syria. Other displayed artifacts include Byzantine mosaics, Roman marble sculptures, jars and jugs, historical columns, pottery, ancient weapons, unique carpets, sophisticated jewelry pieces, rare precious stones, Melkite Catholic icons, and preserved manuscripts. Entrance fees: 10 000 L.L. Sursock Museum is a modern art museum in Beirut, that was directed by an collector named Ibrahim M. Beyhum . It is located in the historic street known as Rue Sursock in the Achrafieh district of Beirut. 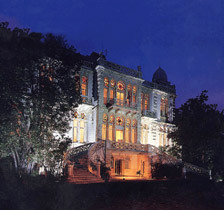 The street is home to other mansions that were built in the 18th century by Beirut's most prominent families such as the Sursocks and the Bustroses. The museum collection consists of 5,000 pieces, such as paintings, sculpture, ceramics, glassware, and iconography, dating from the 18th, 19th, and 20th centuries. Sursock Street, in Ashrafieh in Beirut. 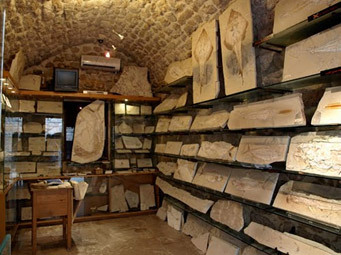 The Byblos Fossil Museum (or the Memory of Time) is a museum in Byblos. 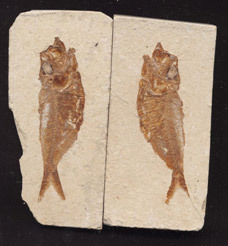 This museum contains fossil collections of sharks, eels, shrimps, squids, rays, coelacanths and flying fish. It was opened in 1991 and is located in the old souk of Byblos. Most of its collection comes from the nearby villages locate few kilometers from Byblos (Jbeil), villages of Haqil, Hjula, and El-nammoura. Open daily from 9:00 a.m to 6:00 p.m. 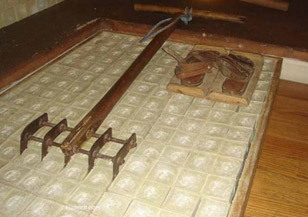 The soap museum of Saida is housed inside in an old soap factory built in the 17th century, although containing parts thought to date back to the 13th century, and was restored by the Audi Foundation before officially opening to the public in November 2000. The principal elements of the soap factory are constantly in Situ such as the huge basin and the Lixiviation basins. Other installations have been re-emerged from the past and a chronological path was redrawn. Thus, visitors explore the different steps of the traditional olive oil soap production; raw materials, fuel and adopted practices for the preparation of the paste, liquefaction, drying, cutting into bars and final drying prior to packaging and marketing. These installations are illustrated on panels that include drawings and Tools. The museum is open daily except on Friday from 9:00h to 17:00h.